Today was my therapy session. I’ve spent the last week alternating between trying to get unstuck and trying to avoid thinking about it…between wrestling with God and feeling filled with gratitude for His goodness…between fear and anticipation. 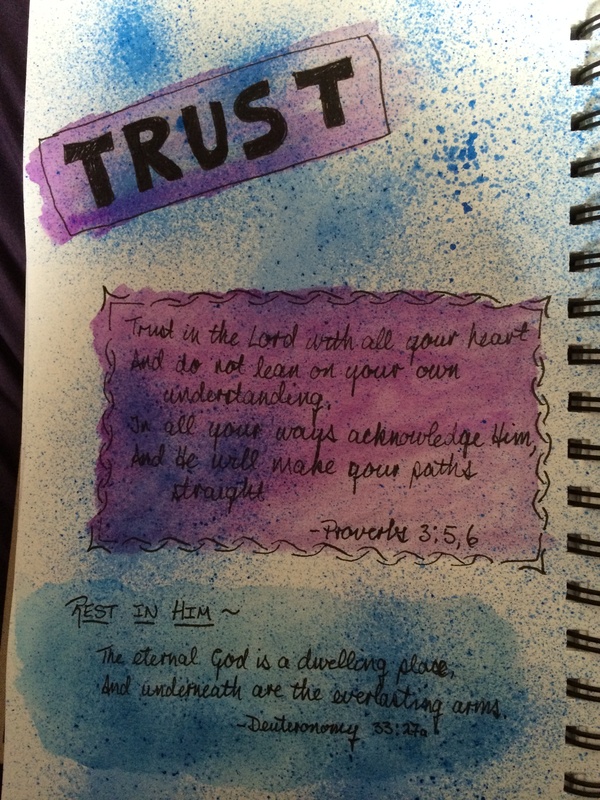 Yesterday I spent time thinking about and meditating on the meaning and practice of trust. This has clearly been something that God has been trying to teach me over the past year or so. I went for a walk before my session, hoping it would make me feel more alert and awake. It did, but I also felt like bursting into tears, and couldn’t quite figure out why. After catching Donny up on the past week, and reading him part of my blog entry from last Tuesday (which was the first I’ve told him about having a blog) I said that I was ready to pray. Then I corrected myself: No, I didn’t feel much more ready than last week, but I was going to pray anyway. So I prayed about 10-11 year old me, and it struck me as quite silly that I’d been dreading this so much. Most of my prayer was thanking God for the many blessings I experienced during that time. Next week, it will be time to pray about when I was in 6th grade. That was a good year in many ways, but also a troubling one because of a friendship I had. I’ve been sitting here trying to come up with an adjective to describe that friendship, and failing. Let’s put it this way — there were three of us, and one of us thrived on nonstop drama…and it wasn’t me. At the very end of the school year, she was absent and the two of us looked at each other and asked, “Why weren’t we just friends with each other instead of letting her always get between us?” I still have no idea. This entry was posted in My Story and tagged Faith, Gratitude, Recovery by rrprewett. Bookmark the permalink.